It is unusual for a Private Members’ bill to become law, but this is what has happened to MP Karen Buck’s bill, the Fitness for Human Habitation Act 2019. It won Government support and has now become an act. The Homes (Fitness for Human Habitation) Act 2018 (FHA18) only changes the law in England and it amends sections 8 – 10 of the Landlord and Tenant Act 1985 (LTA85). The LTA85 required that for a property to be let, it had to be fit for human habitation, but only if the rent in London was less than £82, and the rent in the rest of the country was less than £52, per year. This was an obscure piece of the legislation with only limited effect. FHA18 modifies section 8 and 9 so that they only apply for Wales, leaving the Welsh rules unchanged. It then inserts new sections 9A to 9C for England. These sections remove the monetary threshold of £82 and £52, meaning that to be able to let a property, it must be, and subsequently continue to be kept, fit for human habitation. The new section 9A replaces section 8 (for England only) and explains the basic requirement for a dwelling to be fit for human habitation. Section 9B addresses which properties are covered by the legislation and transitional provisions. Section 9C deals with special rules for agricultural workers and is outside the scope of this article. The current recourse for tenants to ensure disrepair is attended to is through the local authority and an inspection carried out by an Environmental Health Officer (EHO) under the Housing Health and Safety Rating System. The EHO will consider whether the disrepair is a hazard but is also obliged to inspect the rest of the property for any other of the 29 hazards listed. Ultimately the local authority could require the landlord to attend to the hazard by issuing an improvement notice. The problem for local authorities is that they are under financial pressure and resources are stretched. 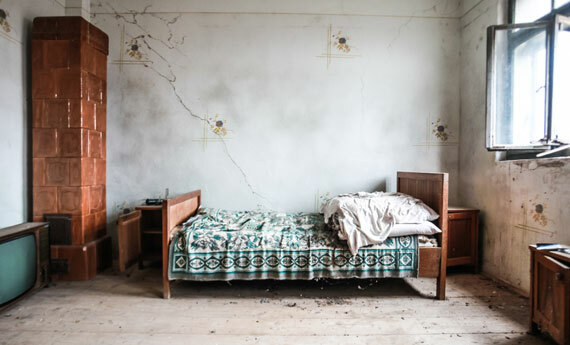 The FHA18 gives tenants the right to take the landlord to court directly where they believe that the disrepair makes the property unfit for human habitation. The route is not without risks for the tenant, as should the court decide that the disrepair does not create unfitness for human habitation then the tenant could be held to be responsible for both their own and the landlord’s costs. Clearly, therefore, the issue would have to be significant and minor issues will not in, reality, be in the scope of the legislation. However, if the court finds for the tenant then the court may order specific performance i.e. to get the work done and award compensation to the tenant. The original standards for fitness, contained in section 10 remain. However, for England, there is an additional test in relation to the 29 hazards listed in the Housing Health and Safety Rating System. Interpreting this section correctly can be difficult because all properties will have hazards (electricity is hazardous) so it will be a question of assessing if the hazards are serious enough to deem that a property is not fit for human habitation. It will not be a requirement for the local authority to have formally inspected and rated the hazard as the court will be able to consider if any claim of a hazard renders the property not fit for human habitation. The problem with this is that a landlord may not be aware of a potential hazard until a judge makes a decision. It can create confusion because there is no clear standard set that guarantees a landlord remains compliant with the new legislation. The new sections inserted into the LTA85 mirror section 11 repairing obligations (which is in the same legislation) in terms of the landlord not being responsible for the actions of the tenant, notice of access, only leases of less than seven years etc. Section 9A(2) identifies that the implied covenant does not require the landlord to carry repairs in certain circumstances which include where the disrepair resulted because the tenant did not use the property in a ‘tenant like’ manner. The landlord is additionally not responsible to reinstate the property where it is destroyed by fire, storm, flood or any other inevitable accident. Thankfully the landlord is not required to repair the tenant’s belongings. If a superior landlord, for instance, a freeholder were to withhold consent then the works or repairs cannot be carried out. Additionally, the landlord may not breach other obligations such as complying with building regulations. A key question will be how the new is to be phased in after it came into force on 20 March 2019. It clearly states that it will apply to all new tenancies, including renewals and statutory periodic tenancies (section 9B(1) and (5)) after 20 March 2019 and from the day of the grant of the new tenancy, so it will be important to ensure properties are of the right standard before a tenancy is renewed or goes statutory periodic. Where a tenancy was already periodic before the new law came into force, the requirement for the property to be fit, and kept fit, will not apply for 12 months (i.e. from 20 March 2020) (section 9B(4)). Where an agreement is made before the commencement date, but occupation of the property is not until after commencement, compliance will not be required until the end of the fixed term (section 9B(3)). The legislation gives tenants the right to take direct action against those landlords who fail to carry out repairs where they are obliged to do so and those landlords who provide sub-standard accommodation. The Government is determined to drive up living standards and ensure that landlords carry out their responsibilities. The vast majority of landlords care that the properties that their tenants live in are kept up to standard and that repairs are carried out promptly. Most landlords, or their agents, visit their properties on a regular basis to check that the property is not in disrepair and to ascertain if any ongoing maintenance is required. These landlords are highly unlikely to find themselves in court for a failure to ensure that the property is fit for human habitation. Whilst it is hard to imagine that properties should be anything other than fit for human habitation, the concern lies around how this standard is judged. It is fairly straightforward to judge if a landlord is compliant or not on basic issues such as a valid EPC or a gas safety record. It is less evident if this new legislation does not have a ‘clear-cut test’ and it will be for a judge to decide if a property is not fit for human habitation. Whilst this sort of drafting might be good for lawyers, it is not so helpful to landlords and agents who would have preferred heightened certainty and clearer standards. After all, if there is black mould in the shower is that a hazard, or perhaps, at quite what level of black mould is it a hazard? Additionally was that situation caused by the tenant’s failure or was it the responsibility of the landlord? There are likely to be a number of court cases in order to establish the answers to these sort of question. Understanding changes to legislation that affect landlords can be a minefield. We have a team of expert letting executives that are on standby to help you navigate through the potential pitfalls and common mistakes landlords make. As part of our letting packages, you have access to this knowledge by phone or email. Please take a look at our services or call the landlord team on 0333 577 8888 if you have any questions about how we can help you save money and provide you with an affordable, simple and effective letting solution.